The Puella Magi who is always bright and cheerful! 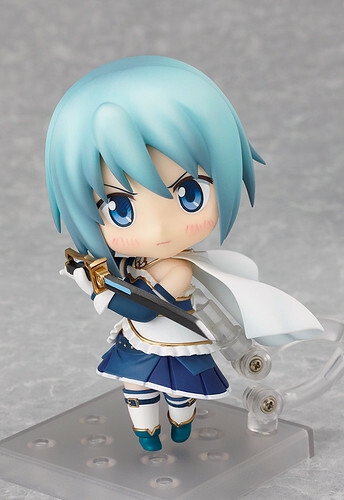 From the popular anime series “Puella Magi Madoka Magica” comes another Nendoroid, this time of the energetic and strong-willed Sayaka Miki! She comes with three expressions, including a standard smiling face, an upset face and a pained expression for combat scenes. She also comes with an total of eight swords to either hold or display around her – each comes with its own stand allowing you to recreate the famous combat scene where she is surrounded by swords! She also comes with a load of extra arm parts, meaning there are even more ways for you to pose her!